After going off the rails a couple of years ago, the supermarket giant has undergone a period of introspection, changed its ways and shown real signs of rehabilitation. Given the situation she was walking into, few will have envied Theresa May when she became prime minister this summer. But it was nothing compared with Dave Lewis’ first few weeks at Tesco in September 2014, which culminated in the revelation of a £263m "black hole" in the retailer’s profits, wiping almost £3bn off its stock market value. That was against a backdrop of already plummeting sales and disastrous brand perception. But for Lewis, the accounting scandal was a "catalytic change" for Tesco, presenting an unavoidable opportunity to take a hard look in the mirror and fix what had been going wrong. The strategy has involved tackling many shortcomings, but they can all be seen as contributing towards the strengthening of the brand. The company sold a number of its side businesses – including the Harris + Hoole coffee shops and Giraffe restaurants – recognising that, as well as being distractions at a time it could hardly afford them, they did not benefit its most important brand by far: Tesco. 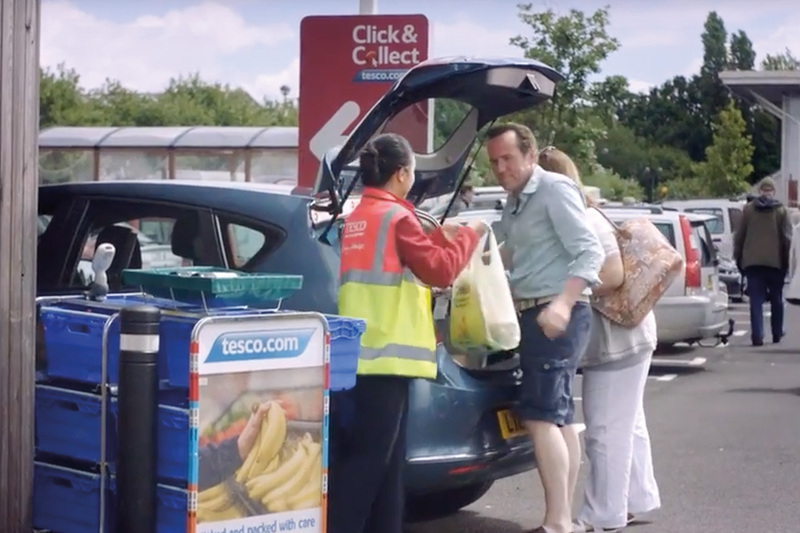 Instead, the focus was on reassociating Tesco with the qualities retailers need to thrive: value, service and convenience. It ensured more staff were available in-store and improved availability – in part by slashing the size of its range. It introduced services such as same-day Click & Collect, and became the first supermarket to partner tech platform IFTTT, offering automated online shopping. All of the "big four" supermarkets have slashed prices in recent years in an attempt to fight off the rise of Aldi and Lidl, though it’s a trend that looks set to come to an end with the collapse of the pound. But Tesco made a bolder play than its rivals, introducing a series of "farm" brands for its economy-tier fresh produce. 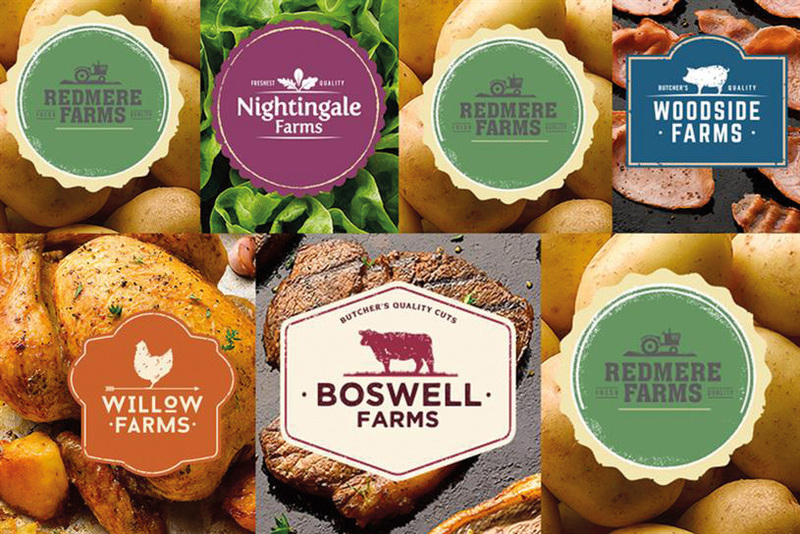 Inspired directly by the style of branding used by the discounters, it was a controversial move, with the invented farm names prompting criticism from branding experts and leading the National Farmers Union to refer Tesco to trading standards. But Lewis later insisted the products had been received positively, with an 80% repeat purchase rate, and that they were core to the supermarket’s improving metrics. The brand’s TV campaign, by Bartle Bogle Hegarty, may not have elicited a universally positive response from the creative world, but the marketing team has enthusiastically defended the work, insisting that it has achieved cut-through and was more effective than the emotional epics favoured by certain other retailers during Christmas 2015. "Everyone doesn’t find the same things funny," former chief customer officer Robin Terrell said earlier in the year, alluding to the perceived cultural gulf between adland and the average British consumer that came under scrutiny after June’s European Union referendum. Even those particularly averse to Ruth Jones and Ben Miller would acknowledge that Tesco and BBH had their fingers on the pulse of the nation with their press, social and experiential work around The Great British Bake Off. There are many unknowns ahead, not least the impact of Brexit-induced price rises. But Tesco is now growing its market share again. And for evidence of how far the brand has come, look at the recent face-off with Unilever and how it was covered in the press. Tesco was portrayed as a people’s champion, standing up for hard-pressed consumers against an opportunistic big corporation. It is hard to imagine that narrative taking hold if the dispute had happened in 2014. Unilever’s male-grooming brand was almost synonymous with the idea of raw sexual attraction, so successful was the messaging in BBH’s campaigns over the years. But in a world that was moving away from established ideas of gender, Lynx/Axe was finding itself in the dangerous position of being associated with one-track-minded teenage horndogs, and not the contemporary men it needed to appeal to. So out went "The Lynx effect" and in came "Find your magic", which aimed to move beyond ideas of conventional attractiveness and celebrate the breadth of men’s unique characteristics. The repositioning borrowed some of the body confidence and positivity of Unilever stablemate Dove, but also worked because it built directly on Lynx’s previous conversation points. Throw in some stylish, minimalist new packaging and this is a brand that feels much more grown-up than it did a year ago. As the UK’s – and the world’s – largest building society, Nationwide had a major USP in a sector bogged down by low levels of trust. But until recently, it made little noise about its business model – in contrast to, for example, John Lewis, which proudly trumpets its partnership structure. This was something chief marketing officer Sara Bennison, who joined from Barclays in March, was determined to change. That meant the business had to take a step back and give space to the voices of ordinary people who, after all, are the owners of the building society. Doing this through the medium of poetry helped the brand avoid falling into the same trap of banality as some other campaigns featuring "real people", and made for a convincing platform with the scope to run and run.